"I've been told I need to get a 6 star assessment for my addition"...No you don't! 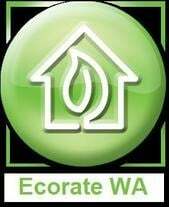 In WA we can use the WA additions protocol to assess your plans. With this type of assessment we can usually just look at the area your adding on, this means savings in construction costs as the existing home doesn't need to be changed to meet the 6 star level! It always pays to use a professional assessor as we know the different assessment methods & which one to use to save you money.